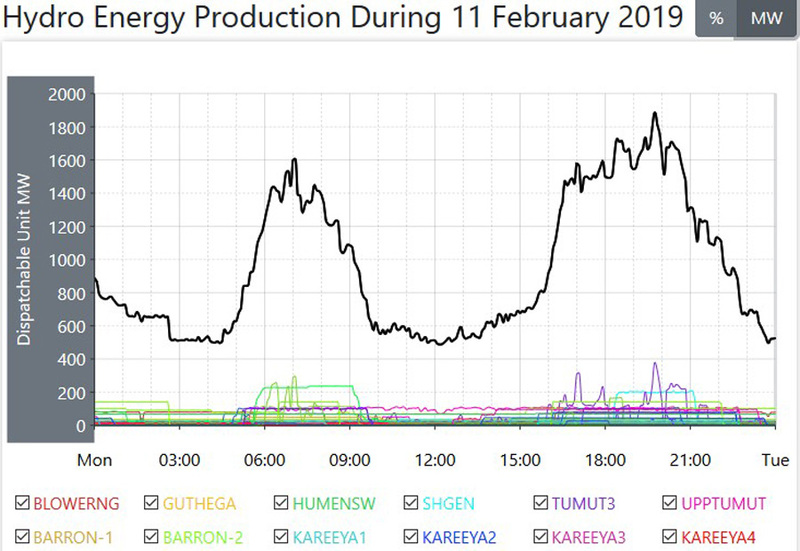 This was a typical back to work Monday when power consumption went up by a large amount, and power generation rose to cover that. The minimum power generation at that 3AM point in time, the Base Load was only slightly higher, but the peak power at 5PM was 4600MW higher. The overall average for power generation from every source was up to 23500MW, a rise of 2700MW over the day before, an increase of 13%. The average for coal fired power was higher on this day, up to 17100MW, a rise of 490MW, and the range from low to high was 3860MW. There are still five of those coal fired Units off line. 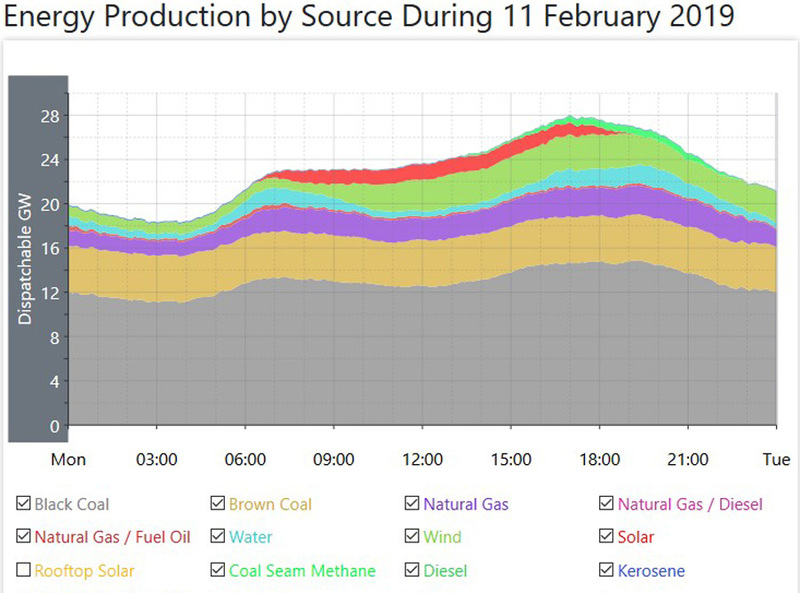 The average from those smaller other sources was higher by 140MW, and the average from solar plant power was the same as for the day before. 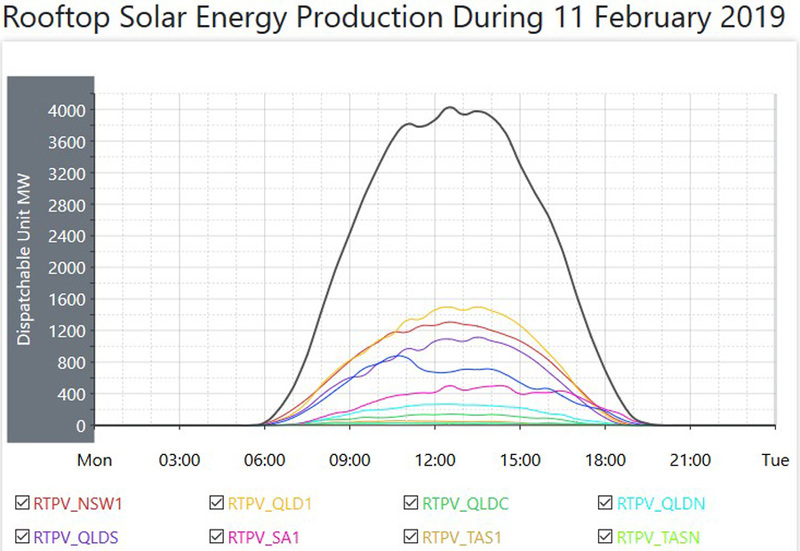 Rooftop Solar power was down, with the daylight period now shortening, so lower than the mid Summer peaks. The averages for Hydro and natural gas fired power were both higher, again, working in with wind which went back to having a good day. 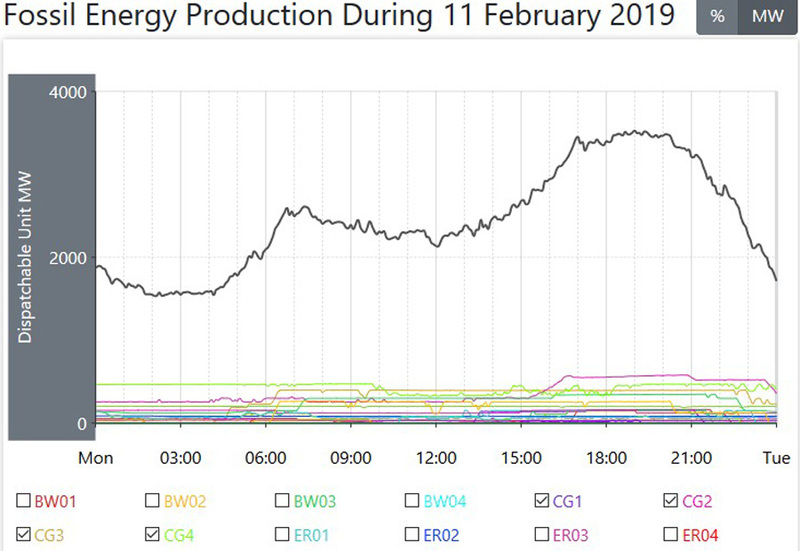 However, if you look at the graph for wind power, you’ll see that it was low for most of the morning, and that’s where both natural gas and hydro power were both higher. The average for natural gas fired power was up by 900MW, and the average for hydro power was up by 170MW. The average for wind power was up by 1000MW to an average of 2020MW, and that gave wind power a daily operational Capacity Factor (CF) of 35.68%. 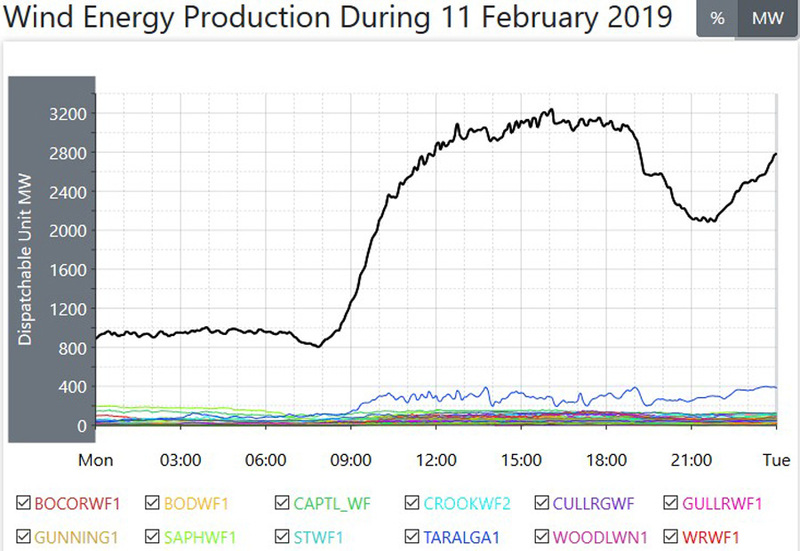 Again, note here with wind power that it was low all morning up until that time when it began to rise, it was only averaging a CF of barely 18%. 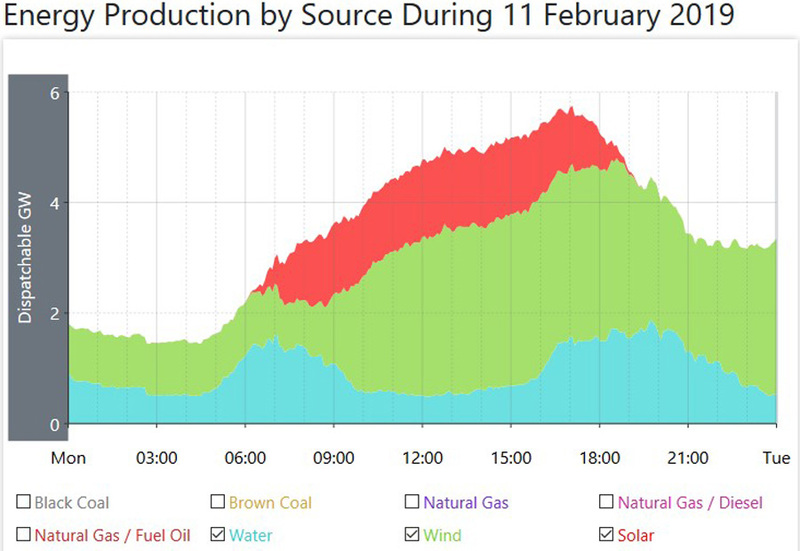 On a work day when the overall was so much higher and coal fired power also rose, coal fired power delivered almost 73% of all the required power. Tony, I continue to enjoy looking at your compilations, and seeing what trends and highlights I can see. 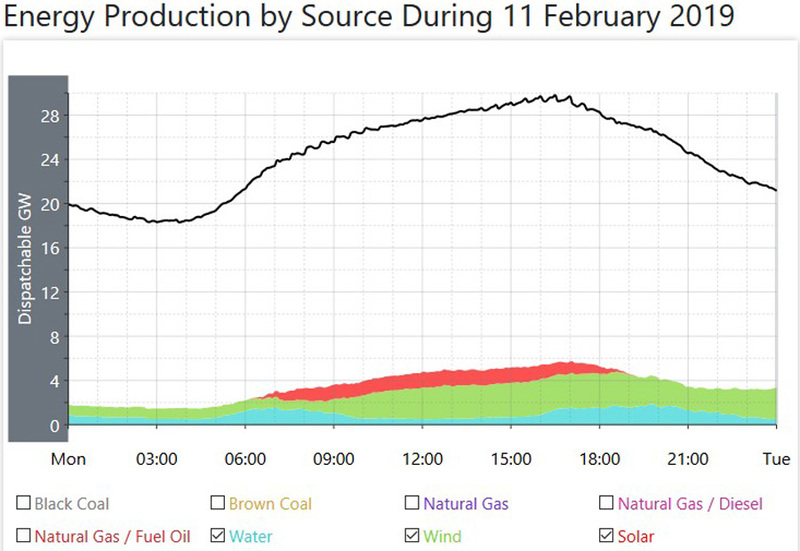 Over last three weeks, the highest coal maximum has been 20.3 GW on Jan 22, when wind delivered a low range of 0.3-1.7 GW, and peak demand was 33.6 GW. 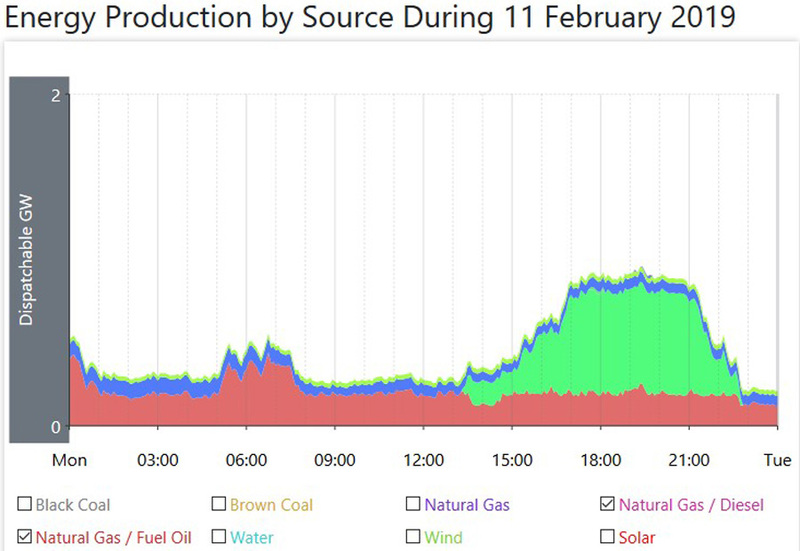 Gas delivered a peak of 7.4 GW, and hydro 4.7 GW. 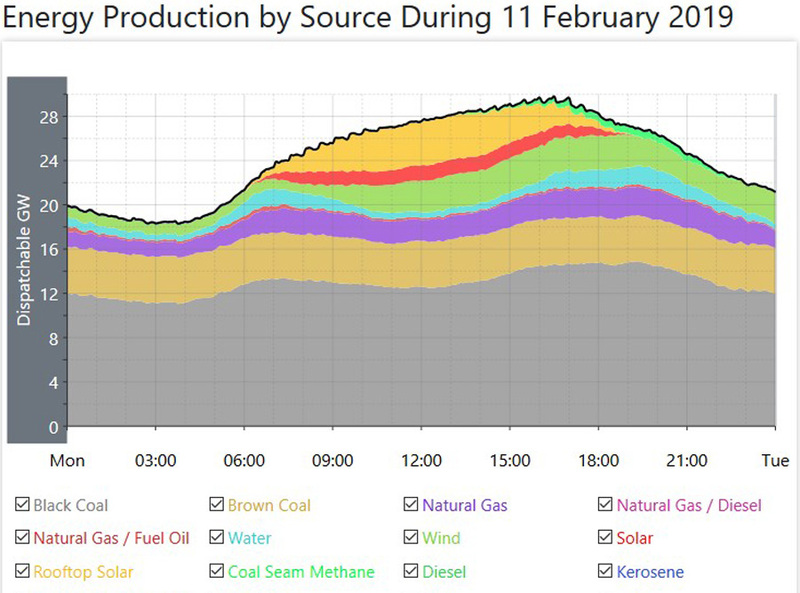 That means coal/gas/hydro delivered a peak of 32.4 GW, covering 96.4% of the peak daily demand. 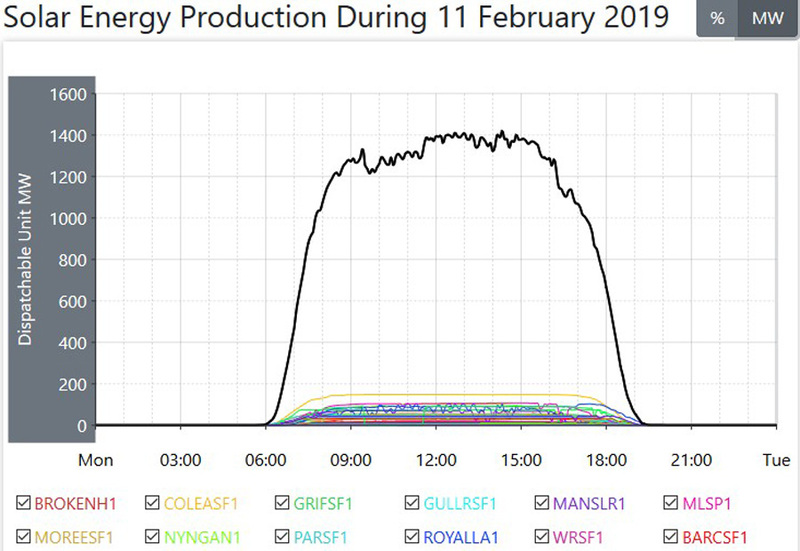 What a waste – all that idle solar and wind, nameplate capacity over 14 GW but delivering just 1.2 GW at time of peak demand, once again showing that even if wind/solar capacity doubled we must still rely on the reliables for when the sun doesn’t shine and the wind doesn’t blow. 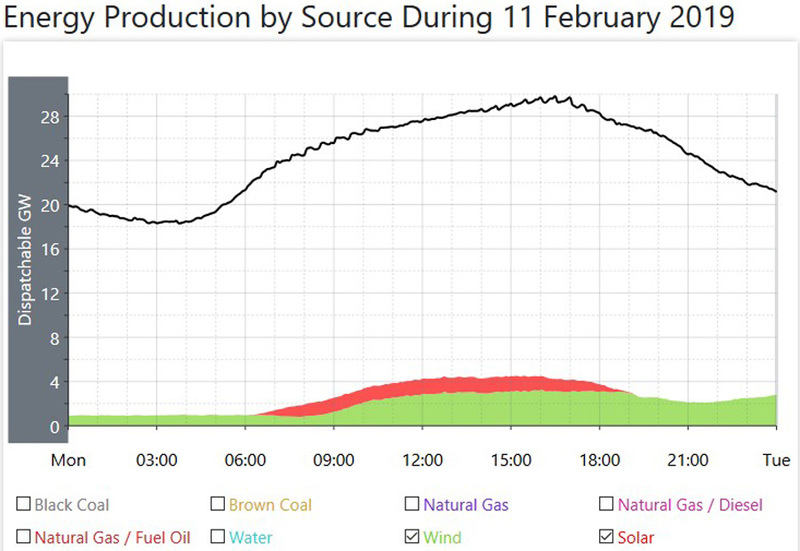 The lowest coal maximum was 17.8 GW on Feb 9, when peak demand was 24.8 GW. Gas and hydro delivered max of 2.7 and 1.2 GW so combined they delivered 88% of total peak demand. 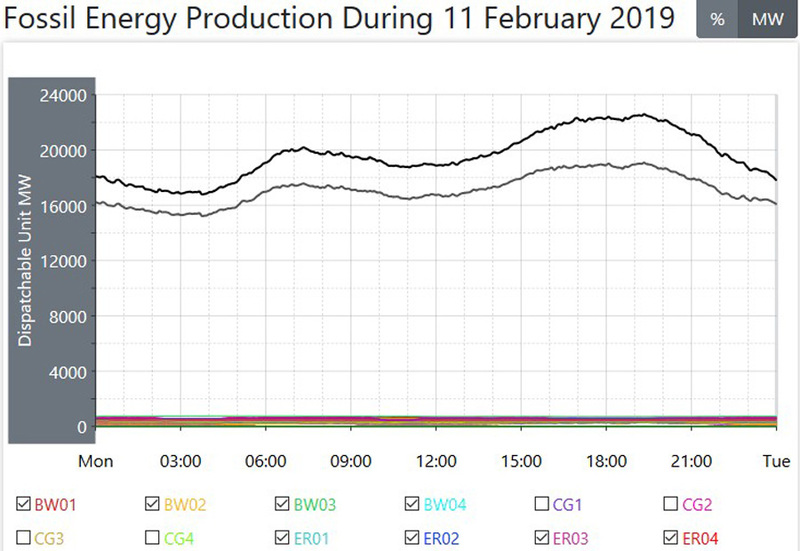 That was a good day for wind, delivering 1.3-3.8 GW. So if we are to persist with intermittents, even more investment must be added through pumped hydro.